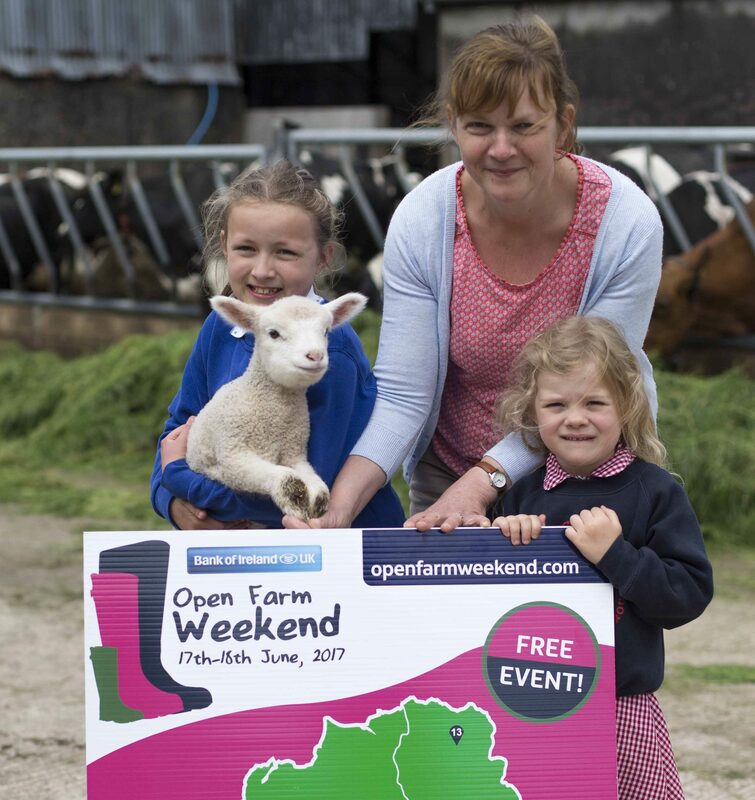 Sixteen farms across Northern Ireland will open their doors to the public for free this weekend as part of Bank of Ireland Open Farm Weekend 2017. Six new farms will open their doors to the public along with ten farms who have previously hosted Bank of Ireland Open Farm Weekend events. New farm hosts are Castlescreen Farm near Downpatrick who specialise in producing Dexter beef, Jamisons Potatoes in Ballycastle, Bullsbrook Farm in Dromore, Co Down, a social farm in Co Fermanagh, Foote Farm in Co Antrim and Drumrammer Farm, a dairy farm outside Ahoghill. Bank of Ireland Open Farm Weekend Chairman and UFU President Barclay Bell said, “From Ballycastle to Portadown, Randalstown to Poyntzpass and from Garrison to Gilford, we have a wide range of farms opening up next weekend giving free access to the public. All our farmers have been working hard preparing their yards and arranging activities for the public to enjoy when they visit to learn more about our farming industry. On Saturday 17th June, 16 farms will be open whilst on Sunday 18th June, which is also Father’s Day, 13 farms will take part. Each farm event is unique and there is lots to see and do, with activities to keep children entertained and also learn more about where their food comes from. Visitors are asked to wear appropriate clothing and footwear to the farms that they visit and to also note that dogs are not permitted. There will be a free competition at each farm to win a hamper of local food produce for one lucky family to take home with them. Bank of Ireland Open Farm Weekend is delivered by Ulster Farmers’ Union and is sponsored by Bank of Ireland UK and supported by The Prince’s Countryside Fund, NFU Mutual and ASDA. The weekend would not be possible without the help and resources of Young Farmers’ Clubs of Ulster, CAFRE, DAERA, the Northern Ireland Food and Drink Association, Food NI and the Northern Ireland Regional Food Programme. The event, in its sixth year has attracted over 70,000 people throughout that time. 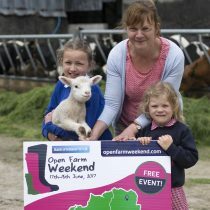 9 year old Megan Turtle and 4 year old Rose Crawford along with Margaret Turtle help to promote Bank of Ireland Open Farm Weekend which takes place on Saturday 17th and Sunday 18th June with 16 farms across Northern Ireland opening their gates to the public for free.